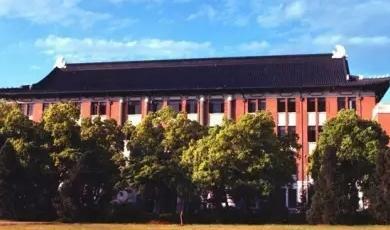 Founded in 1897, Zhejiang University is a comprehensive research university with distinctive features and a national as well as international impact. Research at Zhejiang University spans 12 academic disciplines, covering philosophy, economics, law, education, literature, history, art, science, engineering, agriculture, medicine, management and etc. With 7 faculties and 36 colleges/schools/departments, 1 polytechnic Institute, Zhejiang University has 14 primary and 21 secondary national leading academic disciplines. International students who need to live in campus will be allocated by the university according to their majors, campuses where they will take their lectures. 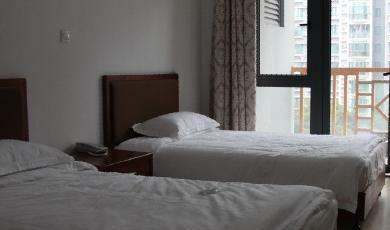 Necessities include beddings, desk and bookshelf, air-conditioning, hot water supply, campus wired and wireless network. 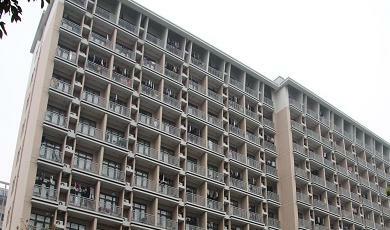 On-campus dwelling students should comply with the Regulations on Management of International Student Dormitories at Zhejiang University. Violators will be treated in accordance with relevant articles. Dwelling students must pay accommodation fee in a timely fashion. Students who pay by academic year should pay the accommodation fee for the entire academic year. Otherwise short term programme standard of payment would be applied. Students who pay by day should pay the accommodation fee for 4 months at one time. Public laundry rooms are provided at basement (G1) in Chu Kochen Hall of International Education and Zijigang International Students Dormitory, where washing machines and drying machines are available. The charge is ￥4 RMB per bucket for washing machine, ￥6 RMB per bucket for drying machine. Activation fee is ￥10 RMB, monthly rental fee is ￥50 RMB. International students who need to dwell off campus must submit the Application Form for Off-campus Dwelling and obtain the consent from the International College. Off-campus dwelling international students shall sign formal and legal lease contract with the owner. Within 24 hours after move-in, they must go to the local police station in the dwelling area for a residence registration. International students who change their off-campus dwelling places must go to International College for registration and apply for new residence registration within 24 hours after moving into new place. They must go to International College to have their contact information, such as address and mobile number recorded. Off-campus dwelling international students can apply to China Telecom and China Netcom for network service. Each semester, the International College organizes language-teaching classes at elementary, intermediate and advanced levels. Students are to be placed in classes that suit them best by taking a proficiency test. A class is usually composed of 15-20 students. The spring semester usually starts from late February and the autumn semester from early or middle September. A semester usually consists of 18 weeks with 20 class hours of language courses per week. Electives are offered for students to choose from one to three courses according to the students’ interest and Chinese capacity. Field trips are arranged once or twice each semester. Zhejiang University provides 4-week long intensive Chinese program every summer vacation, which usually lasts from early July to early August with 4 class hours every day from Monday to Friday. The program accepts individual application and application must be submitted one month before the beginning of the program. In addition to the regular short-term summer program, the college also runs short-term programs for groups of international students (15 people or above) all year round. Courses can be specially designed upon request, with language courses in combination with lectures, field trips, industry visits and so on. C. Individual short-term students can apply to study with long-term students if he/she has studied Chinese Language for at least 200 hours. Zhejiang University is ranked among China’s leading Universities for both the quantity and quality of its master’s degree programs. Several hundred academic majors are established in colleges and departments affiliated to seven faculties of science, engineering, agriculture, medicine, information technology, humanities and social sciences.